4 insane races we will never see in Singapore | JustRunLah! Singapore is no stranger to themed runs – just take a look at our race calendar! 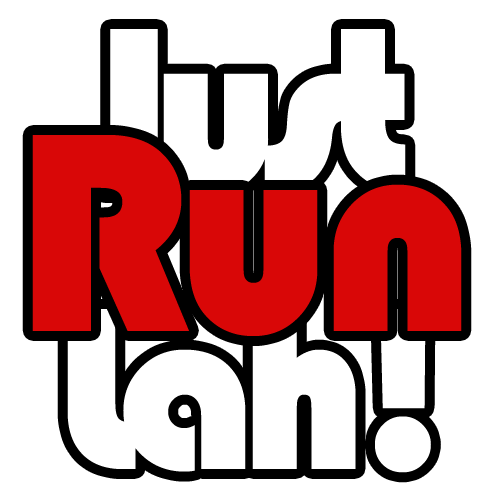 Today, JustRunLah! presents you 4 crazy races from around the world that will probably never make it to Singapore! DROP EVERYTHING and fight cancers below the waist! 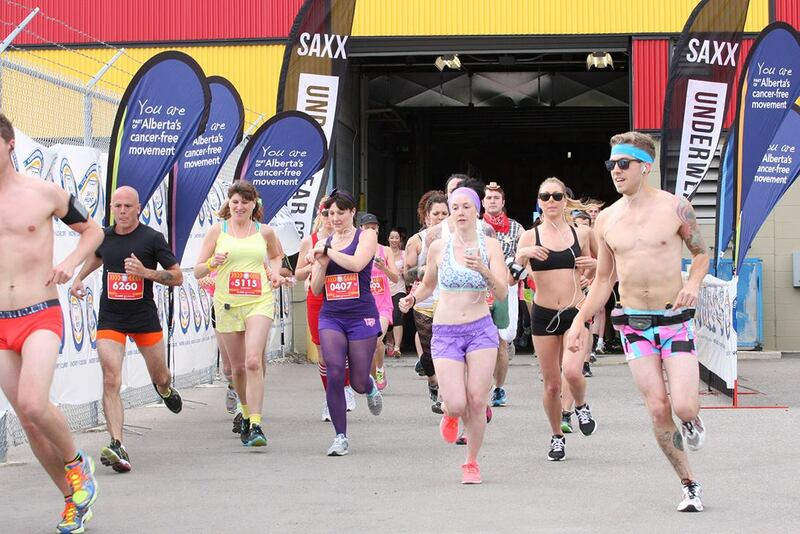 Fancy running a marathon in your underwear? You can do so in this race, and for a good cause! The purpose of The Underwear Affair has been to raise funds for breakthrough research and discovery of new cancer therapies at the Tom Baker Cancer Centre, Cross Cancer Institute and 15 other cancer centres across Alberta through the Alberta Cancer Foundation. How does wine for hydration sound to you? This race is perfect for Singaporeans who are addicted to the indulgent Sunday champagne brunch! Indulge in oysters, steak, ice-cream, and as many as twenty-two glasses of wine – all while running a marathon! Created in 1984 by a group of passionate marathon fans, the marathon nicknamed the “Medoc” has become a must for many marathon runners over the years. 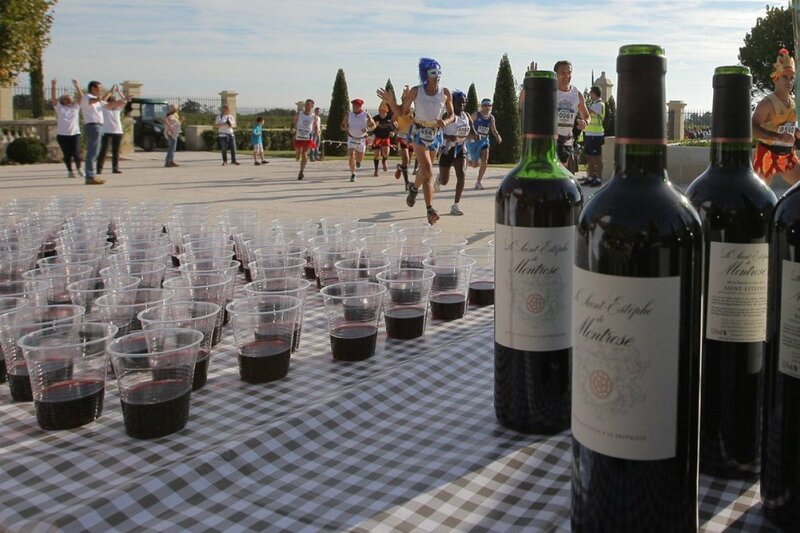 The “Medoc” is a marathon you just have to run like New York, London or Paris. The popularity of this marathon does of course lead to problems with the number of runners allowed to run the race. The race is deliberately limited to 8,500 participants and despite everything it has managed to preserve the spirit of the founders built on 4 fundamental pillars that are inseparable for us : Health – Sport – Conviviality – Fun. 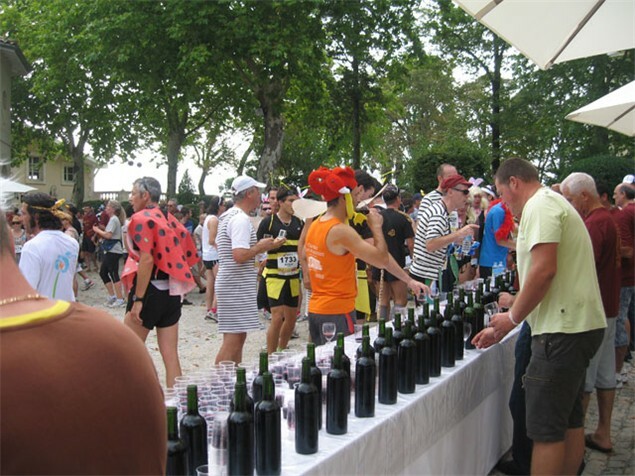 The day of the Marathon, with the show before the departure, the events during the race with over 90% of runners in disguise, some 52 other events alongside the race, 22 refreshment stands, 21 food stands and special gourmet stands (oysters, ham, steak, cheese, ice cream, Medoc attic, etc.) and the presence of hundreds of disguised and delighted school children. Routed through 59 vineyards in the fabled villages of the Medoc region, it reads more like a wine tasting trip than a marathon. Don’t be surprised if you get asked, “red or white Madame?” at a hydration station! Thankfully there is plain water if you so choose. It should be noted that this race has a really extensive medical support along the route. 3. 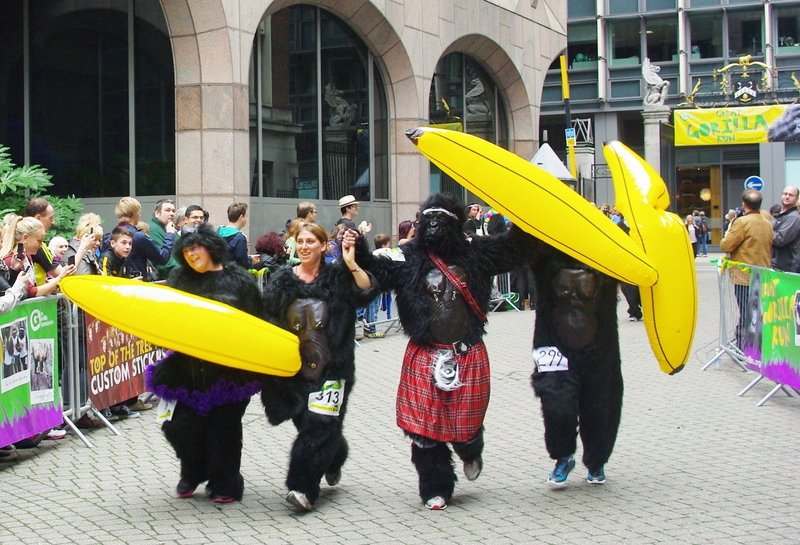 Great Gorilla Run, U.K. If wine is not your thing, a race series in Netherlands offer plenty of beer to runners before, during and after the race! Stop at a beer station, chug it, then carry on! No one would fault you if you need to lie down for a bit, though. Note: Mixing drinking alcohol with running is a really bad idea with potentially serious effects to your health. Don’t try it yourself and always remember to consult a doctor about your exercising routine! So here are the four insane races in other countries that seem really fun, but is highly unlikely to happen on our shores. Itching to take part in an overseas race? Check out our bucket list here!